Please write us an E-Mail. Your mail will be forwarded to the related technical expert. With modern scientific approaches we provide innovative technology development, comprehensive simulative and measurement studies as well as advanced system studies for power electronic systems in regenerative energy or electrical drive applications. 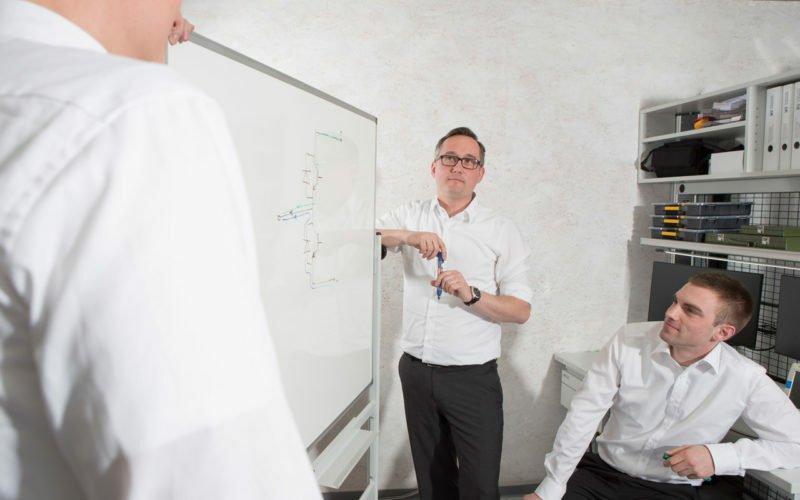 From system analysis, technology consulting or conceptual research up to simulation, prototype testing as well as introduction of series production we support you and your projects – we offer dynamic and flexible engineering services which are especially adapted to your requirements and your business. The analysis and evaluation of the operational behavior of power electronic applications and electrical drives as well as the technical design and rating of power electronic systems requires professional expertise, long-term experience and forward-thinking solutions: Together with our team that is composed of technical experts with different professional specializations with the focus on power electronic systems, electrical drives applications and renewable energy production, we meet the demands of our customers with realibilitiy, flexibility and individually adapted solutions. We develop, based on the requirements and type of the power electronic application, new and modern system concepts and become acquainted with existing systems environments without difficulties. Due to the academic basis of our team and continuous training measures with the goal of continuative professional qualification, we can support you with extensive know-how. Professional qualifications for specific industry sectors, such as safety trainings for working and rescuing at heights for wind power industry as well as general proofs of authorities such as a switching authorization for medium and high voltage systems or live working on low voltage systems under voltage, complete our expertise and facilitate effective project support with a practical orientation. For the analysis and optimization of adjustable-speed electrical drive systems that are fed by power electronic converters we utilize a test bench in our test laboratory. This modern and fully automated test bench allows standard-compliant testing and characterization of direct current motors, induction motors and synchronous motors either in direct grid operation or in converter-fed operation. The focus of the analysis can be placed on the frequency converter, on the electric motor or alternatively on the adjustment of both components to each other. The modern semiconductor- and power stack*- test bench in our laboratory enables the experimental determination of thermal equivalent circuit diagram parameters of power stacks as well as switching- and conduction-losses for semiconductors in power stack applications. Furthermore, the overall power stack safe-operation area can be determined and the semiconductor lifetime and thermal cycling capabilities can be estimated through extensive wear-out tests. With our professional measurement services and our fully automated test bench we support your power stack development and component tests, for example the selection and characterization of semiconductor modules or the design of gate drivers, heat sinks or DC-link capacitors. * Power stacks are highly integrated power electronical devices. They are composed of semiconductors, a cooling system (air- or liquid-cooled) and, where required, DC-link capacitors as well as the gate-drive and safety electronics. Thus, power stacks are the core component of every modern power electronic converter. 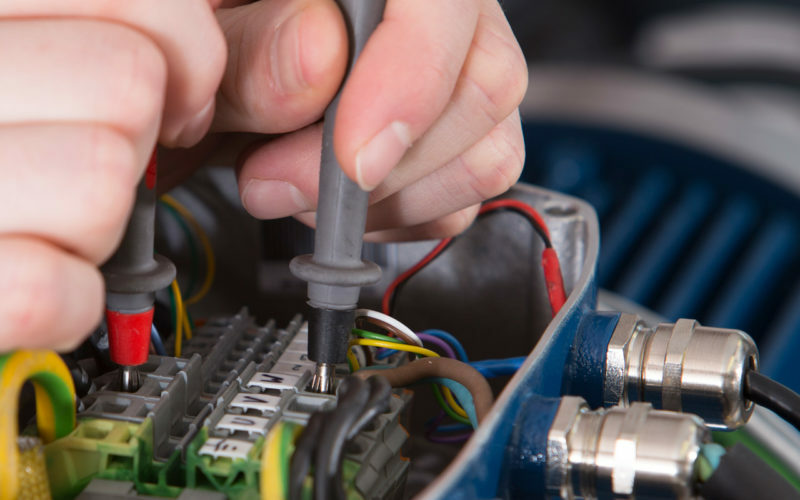 We offer advanced training services with the focus on power electronics, electrical drives and renewable energy technologies. Our team consists of academically qualified development engineers exclusively. We plan seminars and create contents to individually meet the customers needs. Contents range from basic technical concepts up to special applications based on the customers´ wishes. Training services are available as on-site in-house training, via video- or conference call our in our facilities in Halle/Peißen. Our advanced training and workshop services can be held in small groups of participants as well as in front of a large audience. With pleasure we provide you an individual offer. Please do not hesitate to contact us for any questions or further information. Nils Hoffmann studied electrical engineering and received the Dipl.-Ing. and Dr.-Ing. degrees from the Christian-Albrechts-University of Kiel, Kiel, Germany, in 2009 and 2014, respectively. 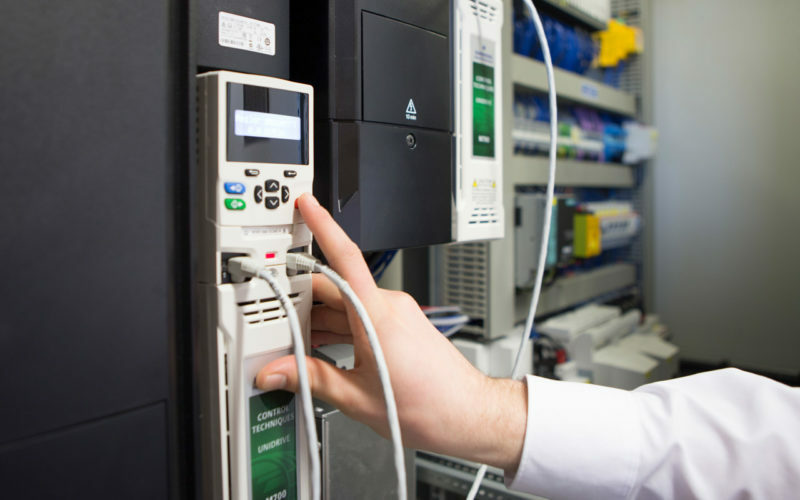 Between 2009 and 2013, he was with the Institute of Power Electronics and Electrical Drives, Christian-Albrechts-University of Kiel, where he was involved in modern control strategies applied to grid-connected power converter systems. Since 2013, he has been with the Ingenieurbüro Hoffmann GmbH, Halle/Saale, Germany, where he is the Head of Research and Product Development for Power Electronics and Electrical Drives. He is involved in modern and innovative concepts of power electronic systems, electrical drives and renewable energy applications with the focus on technological consulting, assistance in problem cases, feasibility studies, preliminary and ready-to-release system designs, prototyping, and fundamental and advanced training services. His current research interests include the control of power converters and drives, power quality in distributed power generation networks, and modern multilevel converter topologies for high power adjustable speed drive applications. Nils Hoffmann presented his research results regularly on international accepted conferences such as IEEE Energy Conversion Congress and Exposition where his oral presentations have been recognized with the IEEE ECCE Student Presentation Awards in 2011 and 2012. As an active member of IEEE Industrial Electronics Society, IEEE Industry Applications Society, IEEE Power Electronics Society and VDE Power Engineering Society, Nils Hoffmann is remaining familiar with the latest research results and developments, even after his academic career. His reputation as an technical expert in the field for power electronic application is confirmed for example by the intense requests to work as an scientific reviewer for international and peer-reviewed journals such as IEEE Transactions on Power Electronics, IEEE Transactions on Industrial Electronics, IEEE Transactions on Industry Applications, IEEE Journal of Emerging an Selected Topics in Power Electronics, IEEE Transactions on Industrial Informatics and the IET Journal on Power Electronics. In October 2014 Nils Hoffmann received the VDE/ETG best paper award as a recognition for his outstanding scientific work and publicistic contributions form the German VDE Power Engineering Society. Also in 2014, Nils Hoffmann received the Dr.-Ing. degree with honors form the Christian-Albrechts-University of Kiel for his PhD-thesis entitled “Grid-adaptive control and active-filter functionality of grid-connected PWM converters in renewable energy generation”. Examiners of the PhD thesis were Prof. Dr. F. W. Fuchs (Christian-Albrechts-University of Kiel, Germany), Prof. Dr. F. Blaabjerg (Aalborg University, Denmark) and Prof. Dr. M. P. Kazmierkowski (Warsaw University of Technology, Poland). In addition to his scientific research, Nils Hoffmann is focusing on technology transfer to industrial partners. The application and product-oriented scientific research was carried out in collaboration with industrial partners such as Danfoss Solar Inverters A/S, Danfoss Drives A/S, Danfoss High-Power-Converters Inc., kk-electronic A/S and Converteam GmbH (today: GE Energy Power Conversion GmbH). The numerous cooperation with industrial partners in predevelopment and technological consulting show the high relevance of his research results for practical applications. Hoffmann, L. Asiminoaei, S. Hansen and F. W. Fuchs, “Shunt active filter with optimum reference generation algorithm for power factor and harmonic current compensation”, Proc. of IEEE Energy Conversion Congr. and Exposition, pp. 2784-2793, Sept. 2009. Hoffmann, S. Thomsen and F. W. Fuchs, “Model based predictive speed control of a drive system with torsional loads – A practical approach”, Proc. of 14th Int. Power Electron. and Motion Control Conf., pp. T5-149, Sept. 2010. Hoffmann, S. Thomsen and F. W. Fuchs, “Appropriate tuning and robust design of a generalized predictive speed controller for drive systems with resonant loads”, Proc. of IEEE Energy Conversion Congr. and Exposition, pp. 764-771, Sept. 2010. Hoffmann, F. W. Fuchs and J. Dannehl, “Models and effects of different updating and sampling concepts to the control of grid-connected PWM converters – A study based on discrete time domain analysis”, Proc. of 14th Eur. Conf. on Power Electron. and Appl., pp. 1-10, Aug. 2011. N. Hoffmann, R. Lohde, M. Fischer, F. W. Fuchs, L. Asiminoaei and P. B. Thøgersen, “A review on fundamental grid-voltage detection methods under highly distorted conditions in distributed power-generation networks”, of IEEE Energy Conversion Congr. and Exposition, pp. 3045-3052, Sept. 2011. Hoffmann, F. W. Fuchs and L. Asiminoaei, “Online grid-adaptive control and active-filter functionality of PWM-converters to mitigate voltage-unbalances and voltage-harmonics – a control concept based on grid-impedance measurement”, Proc. of IEEE Energy Conversion Congr. and Exposition, pp. 3067-3074, Sept. 2011. Hoffmann, M. Hempel, M.C. Harke and F.W. Fuchs, “Observer-based Grid Voltage Disturbance Rejection for Grid Connected Voltage Source PWM Con-verters with Line Side LCL filters”, Proc. of IEEE Energy Conversion Congr. and Exposition, pp. 69-76, Sept. 2012. Hoffmann and F.W. Fuchs, “Online Grid Impedance Estimation for the Control of Grid Connected Converters in Inductive-Resistive Distributed Power-Networks Using Extended Kalman-Filter”, Proc. of IEEE Energy Conversion Congr. and Exposition, pp. 922-929, Sept. 2012. Hoffmann, M. Andresen, L. Asiminoaei, F.W. Fuchs and P. B. Thøgersen, “Variable Sampling Time Finite Control-Set Model Predictive Current Control for Voltage Source Inverters”, Proc. of IEEE Energy Conversion Congr. and Exposition, pp. 2215-2222, Sept. 2012. Thomsen, N. Hoffmann and F. W. Fuchs, “Comparative study of conventional PI-control, PI-based state space control and model based predictive control for drive systems with elastic coupling”, Proc. of IEEE Energy Conversion Congr. and Exposition, pp. 2827-2835, Sept. 2010. Wessels, N. Hoffmann and F. W. Fuchs, “Regelung der negativen Spannungssequenz durch Windenergieanlagen – Negative sequence voltage control for wind turbines”, Internationaler ETG-Kongress, vol. ETG-FB 130, Nov. 2011. W. Fuchs, N. Hoffmann, J. Reese, C. Wessels, R. Lohde, S. Grunau and F. Gebhardt, “Research Laboratory for Grid-integration of Distributed Renewable Energy Resources – Integration Analysis of DERs -” Prof. of 14th Int. Power Electron. and Motion Control Conf., pp. 1-10, Sept. 2012. 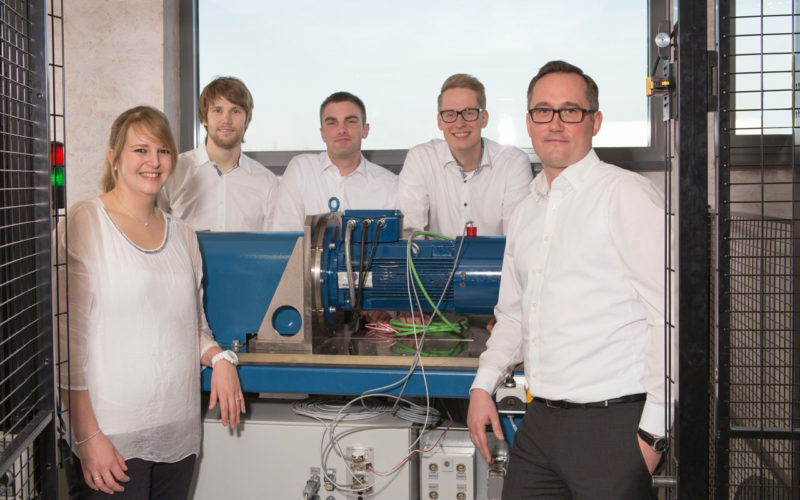 W. Fuchs, F. Gebhardt, N. Hoffmann, A. Knop, R. Lohde, J. Reese and C. Wessels, “Research Laboratory for Grid-integration of Distributed Renewable Energy Resources – Design and Realization -” Proc. of IEEE Energy Conversion Congr. and Exposition, pp. 1974-1981, 15-20 Sept. 2012. Hoffmann and F. W. Fuchs, “Minimal Invasive Equivalent Grid Impedance Estimation in Inductive-Resistive Power-Networks using Extended Kalman-Filter”, IEEE Trans. Power Electron., vol. 29, no. 2, pp. 631-641, Feb. 2014. Thomsen, N. Hoffmann and F. W. Fuchs, “PI Control, PI-Based State Space Control, and Model-Based Predictive Control for Drive Systems With Elastically Coupled Loads – A Comparative Study”, IEEE Trans. Ind. Electron., vol. 58, no. 8, pp. 3647-3657, Aug. 2011. Wessels, N. Hoffmann, M. Molinas and F. W. Fuchs, “StatCom Control at Wind Farms with Fixed Speed Induction Generators under Asymmetrical Grid Faults”, IEEE Trans. Ind. Electron., vol. 60, no. 7, pp. 2864-2873, July 2013. Panten, N. Hoffmann, N. and F. Fuchs, , “Finite Control Set Model Predictive Current Control for Grid-Connected Voltage-Source Converters with LCL-Filters: A study based on different State Feedbacks,” IEEE Trans. Power Electron., vol. 31, no. 7, pp. 5189-5200, 2016. Hoffmann, F.W. Fuchs, M.P. Kazmierkowski, and D. Schröder, “Digital current control in a rotating reference frame Part I: System modeling and the discrete time-domain current controller with improved decoupling capabilities,” IEEE Trans. Power Electron., vol. 31, no. 7, pp.5290-5305, 2016. Hoffmann, F. W. Fuchs und D. Schröder, “Indirekte Stromregelverfahren für Drehfeldmaschinen” (Kapitelbeitrag) Elektrische Antriebe – Regelung von Antriebssystemen, 4. Auflage, Springer, ISBN 978-3-642-30095-0, 2015.